So a good night sleep what is that again?? I can't remember what that is or when the last time was I had one. With Sweet Pea still nursing she still sleeps in our room and feels the need to wake up several times during the night to get a quick snack and then back to sleep she goes. This momma needs some sleep and so does dad. Well with that said I started getting curious about the SOUNDplusSLEEP machine I had seen featured on some other blogs. Sweet Pea sleeps well when were in the car and there is music playing and I sleep well when its raining outside. How to describe this machine to you? Well as my husband says this machine is awesome and he wouldn't get rid of it for nothing!! Since getting the SOUNDplusSLEEP machine not only is Sweet Pea sleeping better through the night so is this momma and dad. She still wakes up a few times but what went from every hour is now maybe one or two times throughout the night. We take this with us on any trips we go on now. It helps drown out noises and creates a calm and relaxing setting. One feature that we like is the adaptive button that you can turn on so the sounds will get louder to drown out any noise in the room which is nice for when your in a hotel and the room above you decides to have a dance party or something. How would you like to own a SOUNDplusSLEEP machine for yourself or to give to someone you know who is in need of a goodnight sleep? 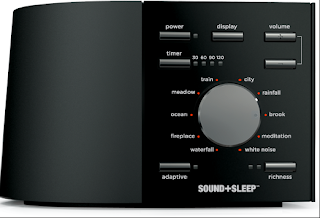 You can purchase a SOUNDplusSLEEP machine directly from there webiste for $129.95. Then come back Saturday 3/17 to grab some luck and enter for this awesome machine in my "Lucky Clover Giveaway"!!! I've heard about these and seen them in stores, but have never owned one. Think I'll have to be back here on 3/7 to enter this one! I've never seen that but I would certainly love it!! I'll be back!! How much is it to purchase? I LOVE LOVE LOVE my Sound+Sleep Machine. My hubby & 2 yr old can't sleep without it! We love our sleep machine that we originally used in the nursery. I will be back to enter! I have to have sound when I go to sleep so I usually leave the TV on and set the timer. If dh is still awake, it drives him nuts because the TV distracts him and he can't go to sleep! This would be perfect because I would have my sound and he would have no distraction! I've been wanting one of these! 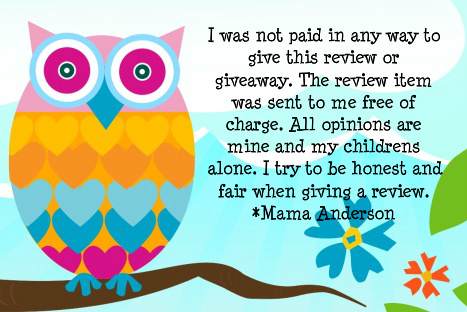 I use a fan at night for my kiddo cause he's such a light sleeper- this would be great for him! This would be nice to have! Even just for myself! I have seen these before and always thought they seemed great. I have a hard time falling asleep and this seems like it would be really relaxing. I would be interested to see if this would be soothing for my toddler too. I would LOVE to have one of these!! Our kids' room faces the parking lot in front of our apartment and there are all sorts of noises coming in their room during the night so this would definitely help! I would love to have this for me! I lay awake all night sometimes and I think this would help. This is awesome! I can't sleep without a fan which drives my husband insane so this would be better!